From the beginning of his music ministry, Lecrae's heart has always been dedicated to broadening the fan's view of who God truly is. Now after extensive touring opportunities across the U.S. from large to small venues, from churches to outdoor stages, with audiences ranging from the inner-city to the suburbs, Lecrae has gained a first-hand insight of the issues and struggles that people are facing. After having a chance to see how so many music fans--particularly the youth--are infatuated with modern-day rappers and multi-media stardom, Lecrae wants them to instead become infatuated with Jesus Christ. While some may look at him as a star or famous rapper from Atlanta, GA, Lecrae's only goal in After the Music Stops is to urge listeners to glorify God with their lifestyle by pointing them to the person of Jesus Christ. Lecrae has purposed to let them know that God is more concerned about what life looks like after the music stops. "Im all about representing Christ with your whole life whether that's in a crowd or in everyday life," says Lecrae. He desperately wants everyone to understand Gods call is about a complete lifestyle devoted to the Lord, not just about performing at shows. 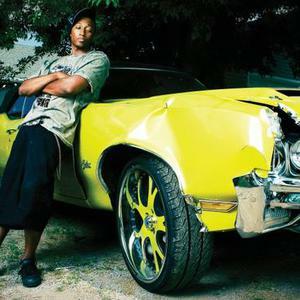 Introspective songs like "I Did It For You" and crowd-pleasing tracks such as "Run" showcase Lecraes unique ability to mix his distinctive southern style into a versatile sound of authentic Hip Hop. Keeping a tight connection to his listeners while delivering a heart-convicting message with passionate energy, After the Music Stops is sure to be an inspirational tool in the arsenal of those striving to live for the glory of Christ.